Hey you. I've got an all new tutorial and project download for you. That's right--for you. Because even after all this time I still like you and I want to feel like I am being a good friend to you and helping you to do a little hand-made whatnot for the holidays. I mean, I care and I don't want you to end up having to spend hours at the mall buying STUFF that is just like all the other STUFF everyone else is buying. We all know handmade is best, so all of our gift giving should feature a little handmade something or other. Not to get all preachy at you or anything, but, well, this is important. Okay? So, anyway, about this new tutorial I have here for you. 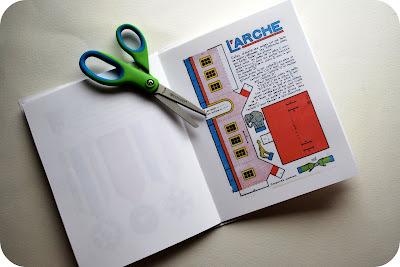 This one is going to show you how to make a simple little book of vintage french paper crafts, as well as another little book of vintage paper dolls. 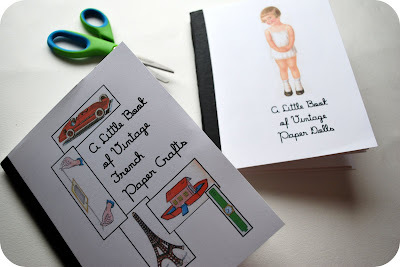 Because I love paper crafts and I love vintage and I love french...so for me, I am in my happy place to be blogging about this right now. AND, what is even better is that I have assembled these books for you in some easy-to-use PDF's, along with some instructions that show you how to actually construct the book. Super duper easy for you to make, and also economic-recession-friendly. You may have everything you need to make this project right now in your very own home, in fact. And then, once you make them, tie them up all sweet and lovely with some vintage ribbon (wait--did I say "vintage ribbon"? That was truly a Martha moment, if I do say so myself--what I meant to say was, use any old ribbon that suits you...), and a new pair of scissors and call it a gift. And if you are really ambitious, you can make a couple of custom coloring books to go with it using my earlier tutorial on this found here, and add a pack of crayons (Stubby Pencil Studio has some great eco-friendly soy crayons for a song...find those here) and now you have a really SUH-WEET gift to give. Happy handmade gift-making, friends. How awesome are you? Very. Thank-you so much for this. I have a son and a daughter who will have a lot of fun with these and I will enjoy making them up. These are wonderful. Thank you for taking the time to create the files for everyone. Very sweet of you. Cheers! Thank you so much! What a great idea!!! I love love love your blog, haven´t commented yet. I think I might be doing this ones for Christmas! That's soooo cool ! Thank you so much for sharing ! These are a real delight! Thanks so much for this gift - you're a star. Fantastic project, they look so good. This is adorable, but where can I buy Book Tape? Thank you so so much. They are gorgeous. I'm definitely going to make those. Thank you for your generous sharing! Sooo cute, thank you for sharing! My girls will LOVE this. I used black colored masking tape for this project. Thank you for sharing! I love this idea and I absolutly understand your point of view. handmade is best! These are wonderful, thanks! can't wait to get cracking ! Yes you are right! 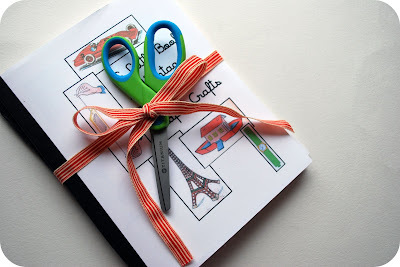 handmade presents are very special! 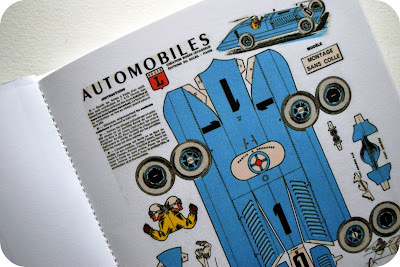 Agence Eureka is so generous to have the paper dolls and paper toys scanned and posted on the web. Thank you, they are so cute ! I've just printed these off as a stocking stuffer for the big day tomorrow and they are so beautiful! Thank you so much for taking the time to share these beautiful creations with everyone. It is so appreciated. 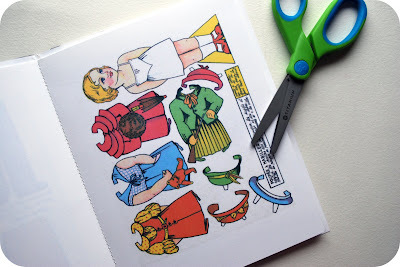 I am French and as a child I used to play with these paper crafts and dolls... We can no longer find them at the bookshop unfortunately so thanks a lot for sharing these files ! You made my day ! 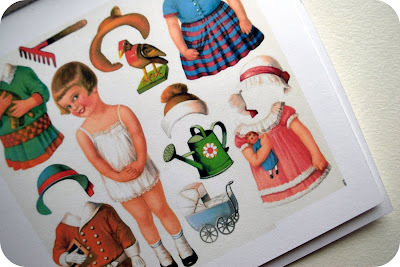 You found beautiful paper dolls! Thanks for sharing. Must have been quite some work, to put it all together ready to print for us. Unfortunately my girls and their friends are too little to cut these "tiny" dolls out. I wanted to enlarge them on the computer, but since it's a pdf-document I can't. -> Is the source of the original pictures you used online? Would you share it? That way I could enlarge them digitally. ΗTΜL. I'm starting a blog soon but have no coding skills so I wanted to get advice from someone with experience. Any help would be enormously appreciated! Wow-these are adorable! Thanks for being so generous. I re-posted your page on my FB page-I hope you get some more followers!